One or more photo(s) has been virtually staged MAJOR PRICE IMPROVEMENT! Live the Davis Islands lifestyle in this bright and spacious, end unit townhome in the gated community of Villa Del Mare. Located in walking distance to restaurants, coffee shops, and more at The Village, plus the marina, public tennis courts & pool, ball parks, dog beach, boat ramps and more. 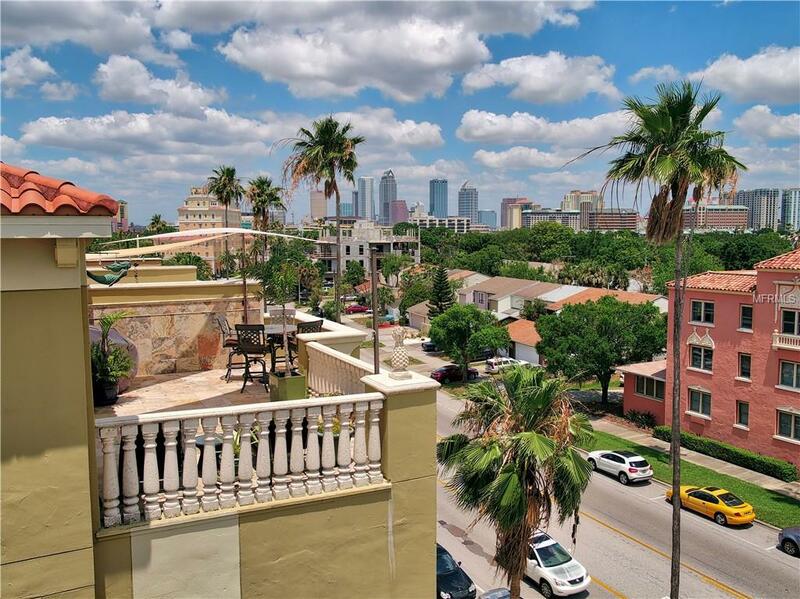 With views of the Downtown Tampa skyline, the three story townhome features 10ft ceilings throughout, with one spacious bedroom suite on the first level, elevator, and a 2 car garage. On the middle level, the kitchen features ample cabinet and counter space, gas cooktop, Bosch & GE appliances, and is open to the dining space & living room, with natural light pouring in the windows, and balcony access. The third floor includes a secondary bedroom suite with custom closet shelving system & en suite bath, the laundry room, and the master suite. This retreat features its own private balcony, his and her closets with custom shelving, and a master bath with all the features to love including a soaking tub, walk-in shower, dual sinks and a makeup vanity. Continue up to the 12x24 rooftop terrace, with travertine floors, gas hook up for a grill or outdoor kitchen, roof extension & additional shades for covering. Enjoy the water breeze and sweeping views of the island and Downtown Tampa, and look forward to spending time there to see things like firework shows, summer thunderstorms, and beautiful sunrises.